Pennsylvania Gov. Tom Wolf speaks with members of the media Wednesday, Oct. 7, 2015, at the state Capitol in Harrisburg, Pennsylvania. A week after he rebuffed a White House request that all 50 states turn over certain information on their voter rolls, Pennsylvania Gov. Tom Wolf again blasted the Trump Administration on its efforts to curb voter fraud. "Over the past week, it has become clear that both the intentions and execution of the White House efforts on election integrity are questionable at best," Wolf said Friday in a 450-word statement shared on the governor's webpage and his social media accounts. He also opined that President Donald Trump's Presidential Advisory Commission on Election Integrity is a "fishing expedition to prove the president's patently untrue statements" that millions of people voted illegally in the presidential election last November. Last week, Wolf refused to provide data on Pennsylvania voters to the White House and strongly questioned the effort in a letter to Kris Kobach, Kansas Secretary of State and vice chairman of the commission. In his official response to the White House, Wolf did remind Kobach that, like everyone else, he can purchase Pennsylvania's publically available voter file for $20. Wolf took another shot at Kobach on Friday, saying the Republican has made statements that suggest he intends to "improperly" use Pennsylvania's data. "Mr. Kobach told CNN that he seeks to take our voters’ personal data and compare it against unrelated data, and he has stated intent to share this in some public manner," Wolf stated. "We have not provided Mr. Kobach, or the federal government, any authority to do this. I have asked my counsel to review potential legal remedies to prevent the White House, Mr. Kobach or any federal agency from engaging in unauthorized misuse of our citizens’ information or state-maintained records." "We are not requesting or in need of any further assistance from the White House or Mr. Kobach," Wolf added. In a statement Wednesday, Kobach dismissed media reports that most states have refused to provide voter information as "fake news." NBC News reported Thursday that 45 states and the District of Columbia have either declined to release any requested information or only agreed to provide some of it. "At present, only 14 states and the District of Columbia have refused the Commission's request for publicly available voter information," Kobach said in his statement, contradicting reports. 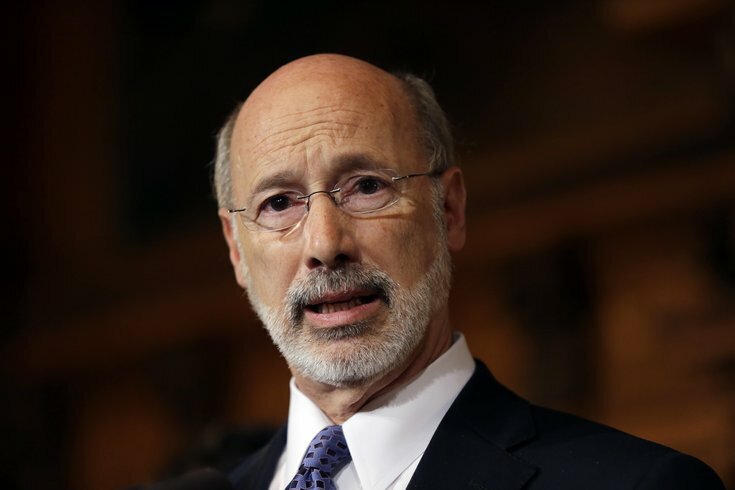 Wolf said that Pennsylvania, along with a number of other states, works with the nonpartisan Pew Charitable Trusts and the Election Registration Information Center to monitor voter fraud. These programs, he said, seek to expand voter registration while fairly using data analytics to identify voter registrations that may be outdated. He compared Pennsylvania's method to a national cross-referencing system in which Kobach was involved for years. Launched by Kansas and other Midwestern states in 2005, the Interstate Voter Registration Crosscheck Program was designed to ensure that people weren't registered to vote in more than one state. In his statement, Wolf said the system "called into question thousands of legitimate registrations rather than finding anything illegal." "Let me be very clear: indiscriminately kicking legitimate voters off voter rolls is a real assault on the integrity of our elections. Such actions are not legitimately within the province of the commission," Wolf said. When Trump formed the commission in May, Kobach told CNN that Kansas officials identified 125 "non-citizens ... who have either successfully registered to vote or have attempted to register after we put our Proof of Citizenship Law in place." "That's a significant number. And that's just Kansas." But opponents of tougher voting laws to combat voter fraud say more restrictive rules would just make it harder for minorities, students and elderly people to vote.